At The Game Awards, Shadow Complex Remastered was announced by Chair Entertainment as free and available right away on the official website. For the uninitiated, it's the PC release of a former Xbox 360 metroidvania game released back in 2009. 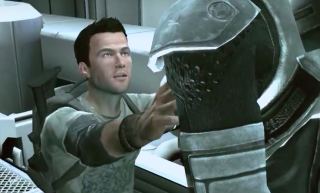 Shadow Complex was met with favorable acclaim back in the day, though who knows how it's aged. I remember playing Shadow Complex and enjoying it. Either way, there's some exploring and upgrading to be had, and free is free.